Well I’ve completed the 1st week of my Ultimate Writing Playlist Challenge. 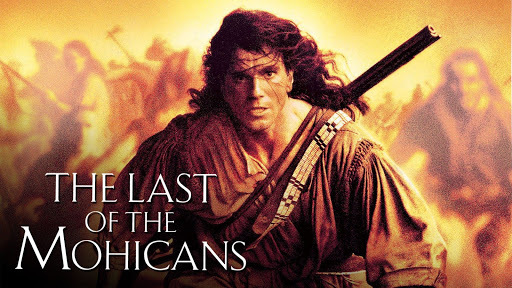 In keeping with the soundtracks I have already ruled out in the previous post, I decided to give my favorite movie a try, Last of the Mohicans. It’s an amazing movie filled with epic battles, soldiers, romance, adventure, and Native Americans, that is more or less a complete departure from Cooper’s book. If you haven’t seen it yet, please make sure you see the Director’s Cut, preferably the one that came out in 2010. Anyways, I started my writing session as I always do: sitting in comfy spot, feet up, deep breath, and silent prayer to God to help me get out of the way so I can write. (My ego is my worst enemy. It can turn a blank page into a cliff face where none of my words can live.) Then I started the playlist on YouTube, and got to work. I started with some freelance work. One was a creative non-fiction marketing piece for a local publishing house. The other was some editing and ghost writing for a Project Management (PMI) professional’s whitepaper article. For both, the soundtrack was amazing. I even noticed that I started typing to the beat. When I finally got around to working on my own personal writing–some young adult and children’s books–I was a little worried that the music wouldn’t transition well. But then the track “Cora” started, and I was instantly transported to a magical, Tolkien-like mental landscape. And frankly, I didn’t want to leave it. Amazing things happened; new plot lines and characters were born. So we have our first playlist member! Please give it a try and let me know your experiences. Thanks again for all love and support! Please continue to reach out and comment! Let’s build this playlist together!